In which Samsung treats the ability to store your credit card details as a significant achievement. Samsung Pay is headed to the company’s Smart TVs, though it’s not the same tap-and-go system that Samsung is bringing to its smartphones. Instead, Samsung Pay on TV is basically a way to store payment information so users don’t have to enter it with each purchase. After an initial registration—in which users can set up either PayPal or a credit/debit card—users can make future purchases by entering a PIN of their choosing. Samsung smartphone and tablet users can just enter their Samsung account information to skip the registration process entirely. Samsung is treating this as a major accomplishment, noting the “beauty” of making payments with “just three steps after the initial registration setup.” But in reality, the company is just catching up to the way other connected TV platforms have operated some time. 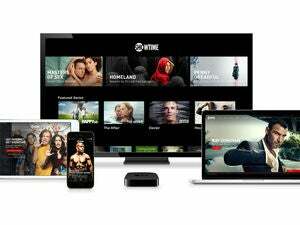 Both Roku and Amazon Fire TV, for instance, let users store their payment details and make purchases with a PIN, and Android TV users can buy apps and video with the same Google Play Store accounts as their Android phones. 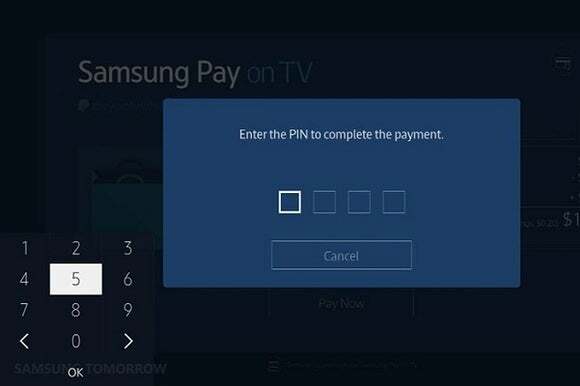 Still, the arrival of Samsung Pay on TV could hint at greater things to come. The company says it has “exciting enhancements already in the works,” so perhaps we’ll see some smarter connectivity with Samsung’s mobile devices. This is pure speculation, but one could imagine confirming a purchase on a Galaxy Gear smartwatch, or using tap-to-pay on an NFC-enabled remote control. Samsung says its payment service is hitting select 2014 and 2015 Smart TVs in 32 countries. Why this matters: Samsung has a tough road ahead as it tries to establish Samsung Pay as a competitor to Apple Pay and Google’s Android Pay, but tying it into televisions makes sense given Samsung’s position as the largest Smart TV maker. It could be a good way to introduce more users to Samsung’s payment platform, and in the meantime, should make buying movies and games just a little easier.